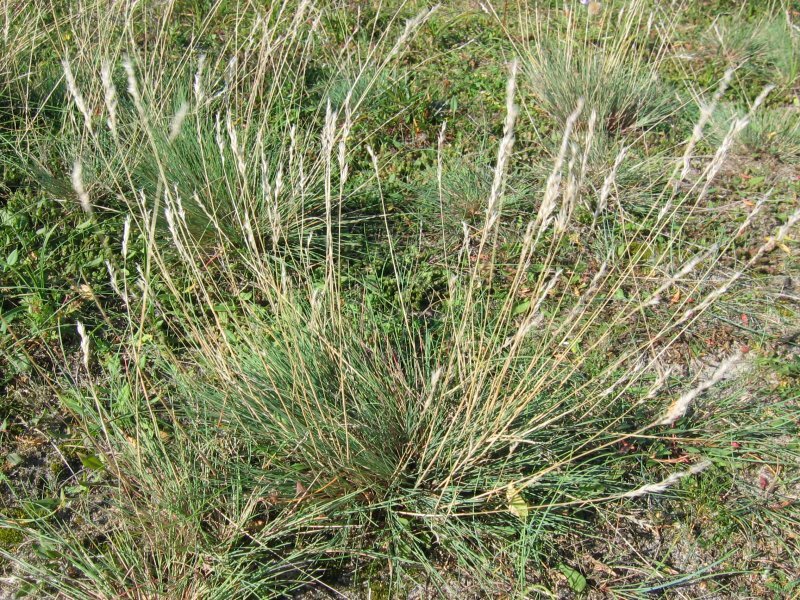 Corynephorus canescens is a perennial C3 grass (Pooter et al. 1990), 20-60 cm. Leaves basal in small dense cushions, waxy blue-gray green, very fine-filamentous; blade about 15 cm tall, sheaths often purplish; flowering stems about 30 cm long. Corynephorus canescens.Andrea Moro.Creative Common.luirig.altervista.org. (Accessed 4/2015). 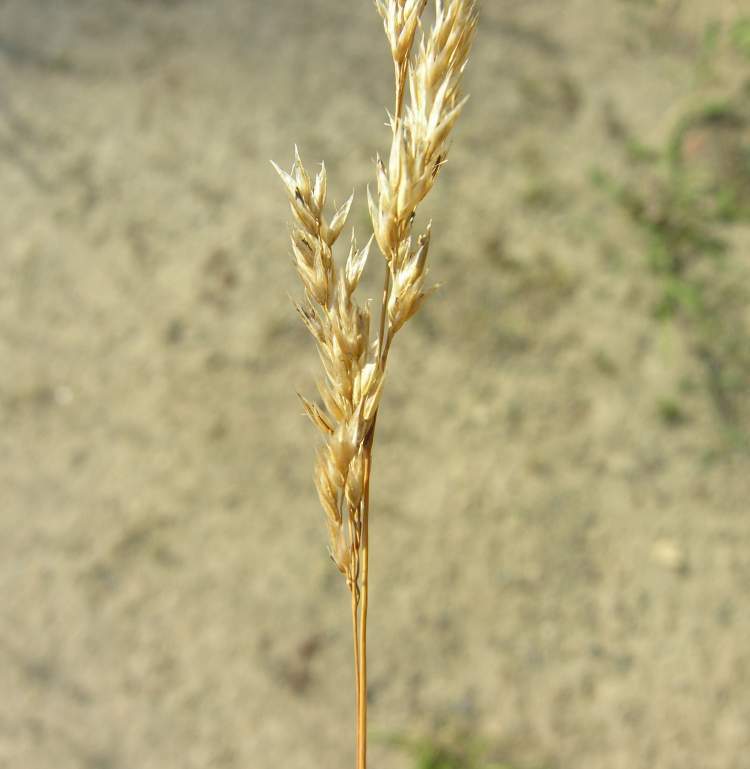 Flower spikelets 2-flowered, membranous, glumes 0.3-0.4 cm, hairy, as long as spikelet, lemmas shorter, short-awned; inflorescence dense, fluffy, silvery when young, 5-12 cm long. Habitat: Pioneers on bare, dry, sandy soil and fill in open areas, often with Trifolium arvense (Gargiullo personal observation).